A small, thin peninsula, about 4 kilometers in length, divides the bottom of Lago di Garda into two equal halves. Sirmione sits near the peninsula's tip, a small but pretty little private://spaprivate:// town that is one of the Lake District's busiest tourist towns during the summer months. Its hotels, restaurants, shops and an array of multi-coloured piers, docks, beach lidos and, of course, its genial climate are undeniably attractive to holiday-makers. During the summer months, you will almost certainly get caught in the parade of slow-moving traffic on your way to the town center, but if you like the feel of a lazy, breezy, lakeside town the bother is certainly worth the ride. Sirmione is famous for the Caves of Catullo, The main historical landmark and an archaeological site of a former Roman villa situated on the tip of the peninsula. The Sirmione Spa, the largest privately owned thermal treatment centre in Italy, whose sulphurous waters originate from the depths of Lake Garda, has long been one of Sirmione's main attractions along with the Scaliger Castle from 13th century. Sirmiones townsite has been almost continuously inhabited since the late 6th or early 5th Centuries BC. The nearest railway stations to Sirmione are at Peschiera (11km) or at Desenzano (www.desenzanogarda.com) - 10km. 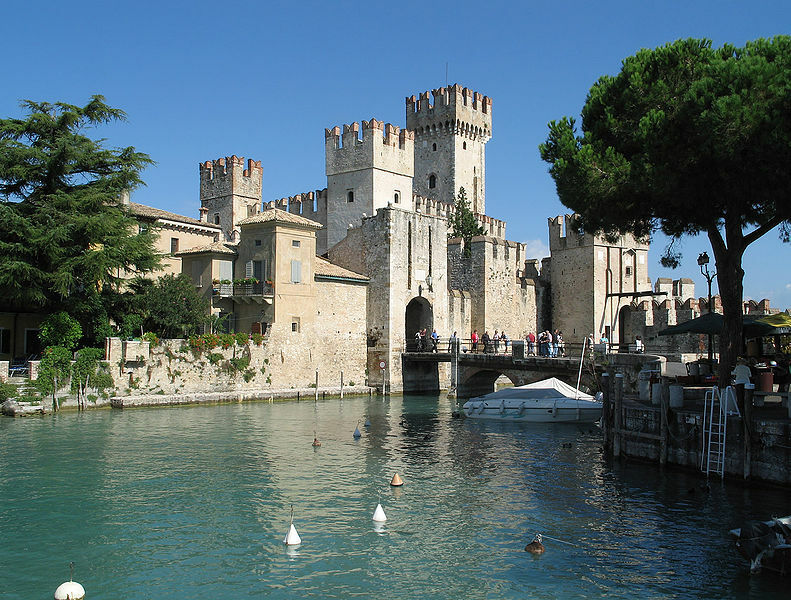 From either train station, local buses or a short taxi ride are necessary to get to Sirmione.